With over 15 years experience, Owner and Master Certified Spray Tan Technician, and Licensed Esthetician, Gretchen Lampinen provides a ​professional, beautiful, "just off the beach" tan in minutes! 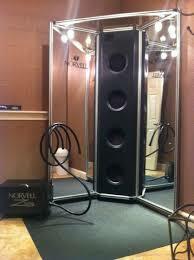 Using only the best and most sought after sunless products by Norvell, and state of the art equipment, we ensure the best spray tan experience possible. We provide a mobile spray tan system that is totally portable and easy to set up in your home or event space for comfort and ease. ​ Bridal parties, girls night in parties, holidays, birthdays, ​​pageants, competitive dance, fitness, cheer, and any time you want to look your best! A great way to get your friends together and earn a FREE Tan! 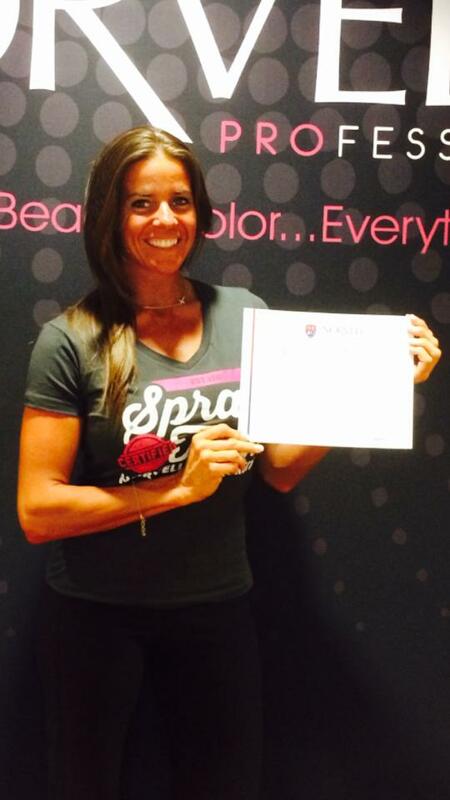 ​We can bring the tan to you, with our professional mobile spray tanning system. 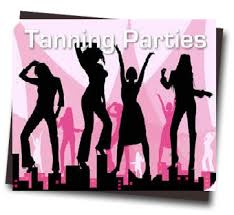 Host a party of 5 guests or more, and HOST TANS FREE! Upgrade to "Venetian One Hour"​​​​​​​​​​ Our best solution! For advanced color, RAPID developing (allowing you to shower within 1-3 hours after spray) and lasts almost twice as long as the original! ​ Free gift at sign up. 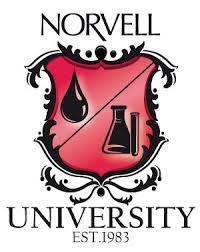 Norvell® formulations offer a beautiful instant bronze with a smooth transition to a natural DHA tan. 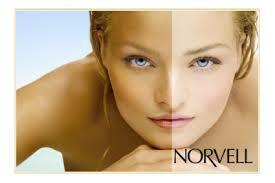 ​Results are natural across a broad spectrum of skin shades and tones. Skin firming formulas build and restore the skin’s matrix, reducing the appearance of fine lines and wrinkles. Highly concentrated antioxidant blends combat the daily signs of skin damage. Guaranteed Fast Drying, Non-Sticky,Streak-Free Formulas. No “Orange” Colour Development and Odour Inhibitors Control DHA After Tan Odour. Clients can expect 5-7 days of gorgeous just off the beach™ colour with proper maintenance. An even colour fade ensures complete customer satisfaction. Norvell’s Natural Actives Sunless Complex™ is a proprietary blend of natural ingredients combined together to optimise, build, and extend sunless tanning results like never before. •	Time Release Micro Capsules hold and bind moisture within the skin to provide 24 hour hydration. •	Natural Enzymes repair weak, dehydrated skin and promote the efficiency of the body’s own natural moisturisation. •	Unique Dermal Barrier locks DHA within the top layer of skin, providing Longer Lasting, Deeper Colour Results. •	Advanced DHA Odour Encapsulation molecules ‘trap’ and virtually eliminate common sunless odour. •	Boost your self-confidence, feel fantastic, look radiant and be the envy of your friends. 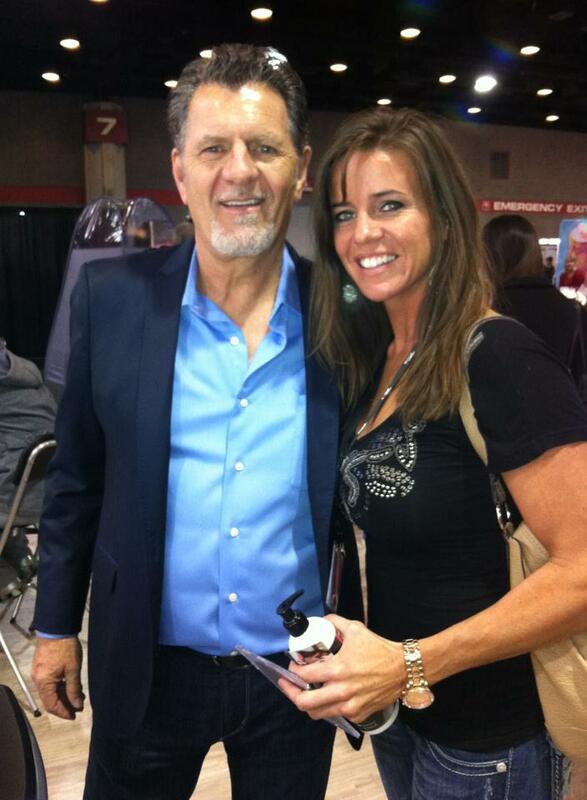 •	Maintain a healthy, natural, golden glow anywhere and anytime. •	Provides a smooth, streak-free, even application. •	Accentuate your features and appear slimmer. •	Even out skin imperfections, minimize the appearance of stretch marks & varicose veins. •	Perfect for special occasions, spa parties, bridal parties, prior to vacations or last minute tanning. •	Allows for the tanning of specific body regions or hard to tan areas. •	Quick and Convenient alternative to traditional tanning. •	Choose your desired level of darkness and achieve instant results. results for a long lasting, “just off the beach” tan! Shave or use depilatory cream to remove unwanted body hair. Shower, but do not apply body oils or moisturizer to skin (unless you have very dry skin) as this can create a barrier on your skin. Remove make up and deodorant with baby wipes. Pull hair up and away from face and neck with a hair tie. (Cover with a hair cap optional). Remove contact lenses, clothing, shoes and jewelry. Change into your swimsuit (or whatever you are comfortable being sprayed in. Clothing is optional). Apply barrier cream to palms of hands, soles of feet, fingernails & toenails. (Barrier cream is optional and will be provided). Wear clothing that is dark in color, preferably black and loose fitting (cotton clothing) to avoid excess contact to your skin, or staining of your clothing after your spray tan. Do not wear tight-fitting jeans, pants or shorts, or light colored synthetic fabrics after your appointment. Try a loose black dress. It is advisable to wear dark flip flops after your spray tan appointment. Avoid showering and any activity that would cause sweating — exercise or cleaning, for example — as your spray tan is developing during these hours. Contact with water or sweat could result in lines or uneven tanning. If you choose to sleep in your spray tan so that it darkens overnight, you may want to cover your bed with dark sheets and pillow cases so that any bronzer does not stain your regular sheets. Your first shower after your spray tan should be just a gentle rinse. You will see some color wash away from your skin. This is completely normal, and was only the “cosmetic bronzer” (instant color that you could see after your spray tan). The cosmetic bronzer is used to give immediate tan results, but also so that the technician may see where they are applying solution. Do not be concerned by this, as your developed tan (DHA) is still there. Ovoid scrubbing your skin, or anything abrasive. Wash with a mild, shower gel in areas for hygiene. While you are drying, remember to pat your skin gently, not rub your skin. Apply moisturizer generously in the morning and at night to extend the life of your tan. If at all possible, you should try to avoid contact with chlorine for at least 48 hours after your spray tan, or excessive sweating inside of closed-toed shoes, as well as scrubbing or exfoliating (or anything abrasive) during the life of your spray tan, as these can lead to premature fading of a spray tan. Please contact me at the salon 864-469-7722 or 864-915-2026 (call or text) with any questions or concerns you may have about your spray tan, or to make a new appointment or book a party.